But, back to savoury. In France in May, a local restaurant had reopened under new management with a modern brasserie theme including burgers. I always think a burger is a good test of a restaurant because simplicity and the finest of ingredients makes a good burger and this is likely to be reflected in their other cooking. 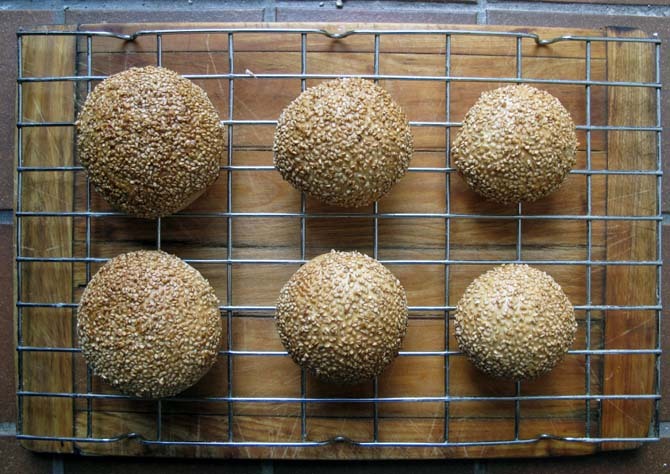 So I was disappointed to see a Millennium Dome of a bun, like an exagerated Big Mac bun covered in sesame seeds, approaching the table. Nothing is more off-putting than huge stodgy buns that certain food outlets seem to think demonstrate the generosity of their portions. However, this bun turned out to be brioche so, while it comfortably contained the meat and its acompaniments and didn’t collapse when handled, it was light and not too filling. 100g, 80g and 60g. Almost there I thought. Not quite big enough – will have to try 120g and flatten them a little more at the start of proving. Plus, made a loaf with the remaining dough and scraps out of the fridge. Pressed out the dough, spread it with ricotta, sprinkled on black pepper, some grated parmesan and chopped parsley. Delicious. We’ll have to teach you how to get that loaf to close up, lad. Oh wow! 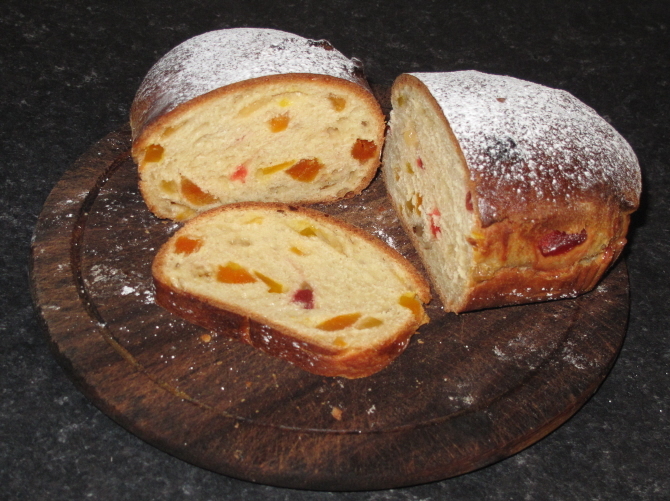 I made your Brioche Provencale today. I didn’t know you could make sourdough like soft sweet bread! Amazing! I’m now thinking fruit breads, cinnamon bread, pecans, chocolate… I’m now going to become the size of a house! Thank you! When you make the rolls do you prove them directly on the baking tray? I guess they prove alot quicker being smaller? That’s what I’ve been banging on about for years – the types of bread you can make with natural leavening are unlimited. Yes, I proved the buns on the baking sheet they proved for the same time as the loaf. You have been ‘proved’ right then! I just imagined that you got a much heavier product (like my first go at say, hot cross buns), it was nice having the pictures. 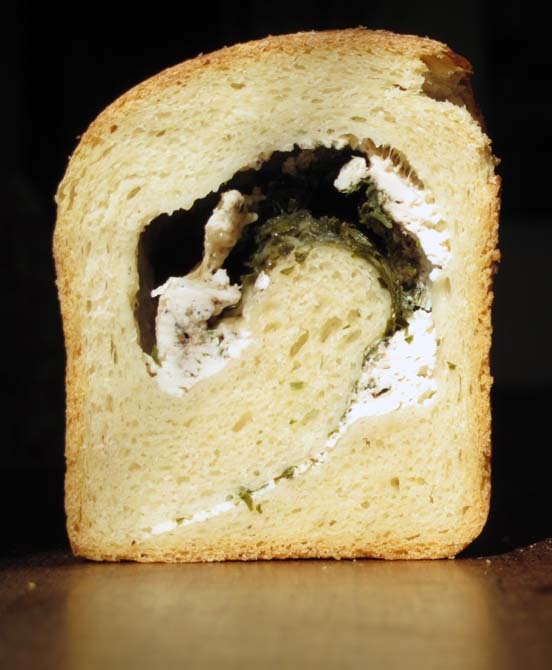 How come this is never mentioned in bread books? (and I’ve got quite a few). I realise it takes longer but I’m finding your way fits in very nicely with my life. I can walk my dog, make the dough, got to work for 4 hours, shape the dough, walk my dog, make dinner, bake the bread! My family is loving it too! Hey Helen – you’re saying all the right things. No one’s going to believe I’m not feeding you lines! I haven’t seen any money yet if you are! I’ve got two brioche proving – one plain (my son has requested ‘toast’ shaped bread!) and one cinnamon raisin loaf. Worth far more than money!